There are many titles on the market which deal with Coaching and related topics. Part of the course study with Kingstown College involves choosing some of those titles to review. We have gathered a selection of book reviews to help you on the way to choose your next read. Fortgang, L. B. (2002). Living your Best Life. USA, Thorsons. 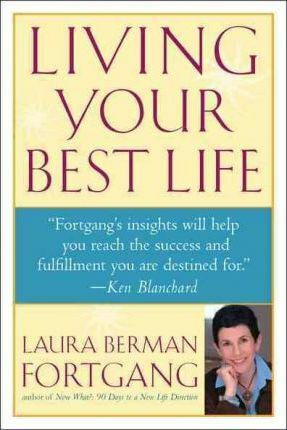 Laura Berman Fortgang puts forward the idea of the Life Blueprint. Rooted in the school of Positive Psychology, Fortgang posits that we each possess an internal compass that expresses our individual wisdom and points to things that would most fulfil us – this is the Life Blueprint. Tapping into this innate sense leads us to our “best life” in which success comes more easily because we’ve learned to honour our deep desires and to work with our individual talents. This book uses anecdotal rather than scientific evidence to explain it. The Life Blueprint for a coach looking for a way to structure a life coaching session is a fantastic resource to try out. The Life Blueprint can be built through three main stages: The Reckoning, The Doing and the Being (Introduction, XVI) which are further broken down into ten consecutive strategies. Although the book was written in the early days of coaching, there are many insights that bear relevance to all forms of coaching, not just life coaching. For example, Fortgang’s critique of the “why?” question that does little to move the individual forward in life in a positive way or taking the time / making the effort to become more sensitively attuned to subtle feelings. In Chapter 4, Act on what you feel, not on what you think there are several powerful questions around establishing what the client may really want to achieve but grounded in feeling rather than only the rational. For example, good versus bad guilt, ego versus inspiration, passion versus adrenaline, opportunity or seduction, and certainty versus infatuation. In Chapter 5, Making a simple contract, I came across a sentence that I think is really powerful for coaching “The freedom to change comes from the truth” . Combined with the idea that the client doesn’t need to fix all areas of dissatisfaction all at once but rather simply take stock of as many aspects of their lives as possible and acknowledge both the negative and positive , it can be a solid foundation from which to address the client’s various goals. It’s similar to the wheel of life in its purpose but rather than provide a view of balance, it provides a list of goals to consider beyond the eight segments of the wheel of life. Another insight is from Chapter 7, Make Yourself a Magnet. The question “What gives you energy?” can often completely change the dynamic of the conversation. The energy watch exercise would be particularly useful when examining the area closer with the client to understand how to reduce their energy-sapping exchanges and make the most of the energy-generating interactions.